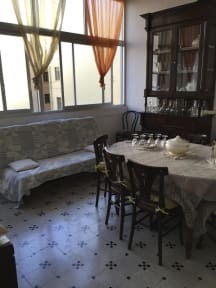 Large rooms in Bari located in the city center close to the sea. We offer a fully furnished, quiet and comfortable house with Free internet, wifi and a balcony for guest to enjoy. It is possible to use the kitchen for free only if staying for a long period. If you are a guest of 2/3 nights you have to pay some little extra to use it. Washing machine is available (extra). Linens and towels are included in the price. 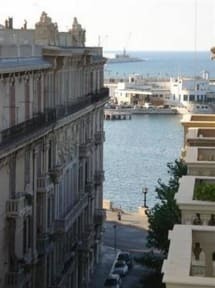 Guesthouse City Center Bari is located at the heart of Bari , 97, Via F.S. Abbrescia, the most strategical location. In the centre and by the sea (only 100 mt by the sea and 15 minutes walking from the nearest beach 'Pane e Pomodoro' and 'Torre Quetta'). In Apulia, one of the most beautiful and attracting Southern Italian Regions. The Guesthouse is situated next to the Old Town and close to Petruzzelli Theatre and only 10 minutes by foot from the main railway and central bus station. It is next to the bus stop line 12 and 12/. There is also very good access from the A14 motorway, Bologna - Taranto. PLEASE NOTE that this property may pre-authorise your credit card details in order to confirm this booking. You will be also required to provide your CVV code. Consigliato, alloggio in posizione strategica per visitare Bari. Molto pulito. La signora Anna ci ha accolto benissimo mettendosi a nostra disposizione per qualunque cosa. Ci si sente come a casa.